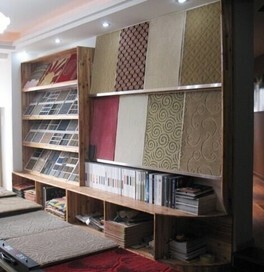 We in good faith, professional, innovative business ideas, has provided a cheap carpet products and customer satisfaction with the service for many customers. The company has a dedicated and well-trained, patient and professional services team, from the design, production and sales, to pavement, all for the customers carefully decorated with a single step every inch of the world,. Chris was awesome to deal with and replaced the old worn carpet at our rental with fresh new and reasonably priced carpet. Very friendly and efficient. Would have no hesitation in recommending to others. Great service and good price. On time, professional and so easy! Thank you, Will definitely recommend to all. Great, professional job. Highly recommend to all. Did a great job installing our new carpet. Thank you very much. Thanks for the fatastic garage carpet. They did such an amazimg job that covers great service, competitive price and high level workmanship. Definitely recommended to all. Good job,highly recomment. Very good to do business. Excellent work at a good price.